Ah, sweet nostalgia, this better be my tomorrow. I’m not sure how to start a blog without looking like a pompous tool. I don’t mean to alienate the blogging community with the first sentence of my first post, but yeah, there it is. Also, blogging is such an undignified word. There’s no way to manly way to say “blog.” It sounds like a feminine bodily function. “Oh excuse me, I’ve just got to go blog real quick, must be that Activia yogurt!” That’s why I left Twitter, no matter what your subject matter, it’s impossible to ‘tweet” with any dignity or force. “A PLAGUE, UPON BOTH YOUR HOUSES!!! @RomeoSquared@TybCap487.” angrily tweeted Mercutio. However I, like the rest of the world with internet access and enough fingers to type, am addicted to the blue and white monster of Facebook. I can’t explain why it’s so addicting; most of my time on Facebook is spent either staring blankly at the home screen, or clicking my mind away through hundreds of pictures of vacations I didn’t go on and parties I wasn’t invited to. And always when I should be doing something important, or at least something marginally beneficial to society. Anyone know how long a blog post is supposed to be? I know I have the attention span of a 3 year old with ADD when I’m online, especially if it involves reading, so I’ll wrap it up here. I’ve got important nothings to attend to anyway. Oh and on a personal note we’re expected to get 12 to 18 inches of snow tomorrow, which for Central Oklahoma is a veritable Snowpocalypse. Initially this was distressing news, because I was going to go see my musical idol and man crush Ben Folds tomorrow night, but he has graciously and intelligently decided to reschedule. Am I stoked for the snow now? In a word, yes. In two words, very yes. 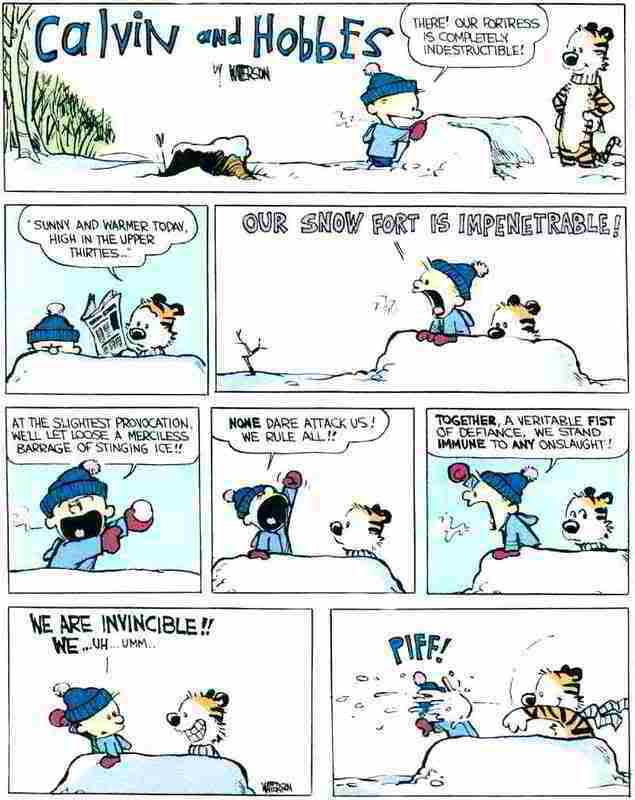 I’ll leave you with the only thing on my mind at the moment: SNOW FORT. -Andrew Romans, first time blogger (yuck).